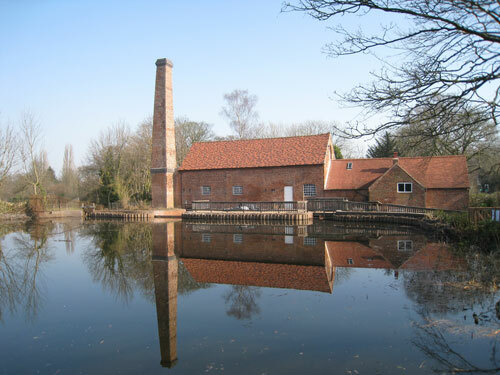 One of two surviving water mills in the Birmingham area, Sarehole Mill provided the inspiration for the writer JRR Tolkien, who lived nearby and visited as a boy. Permanent exhibition 'Signposts to Middle-earth' looks into JRR Tolkien's early life in the hamlet of Sarehole. Annual Membership is available, which allows unlimited access to Birmingham Museums’ museums and heritage sites. Week days in Term Time Wednesday to Friday - Prebooked tours only. Guided tours all year round. Cobbled yard is uneven. Ground floor and first floor of the mill are accessible for wheelchair users. Toilet for wheelchair users available. Car/coach:A-Z reference 1E 107. Leave A34 at junction with School Road and Cole Bank Road (traffic lights); Sarehole Mill is in Cole Bank Road on r/h side shortly after roundabout. Cars: car park on adjoining Sarehole Recreation Ground.